The Capital City Hamfest was my first experience with this particular show. I very much enjoyed it and I plan to attend again next year. 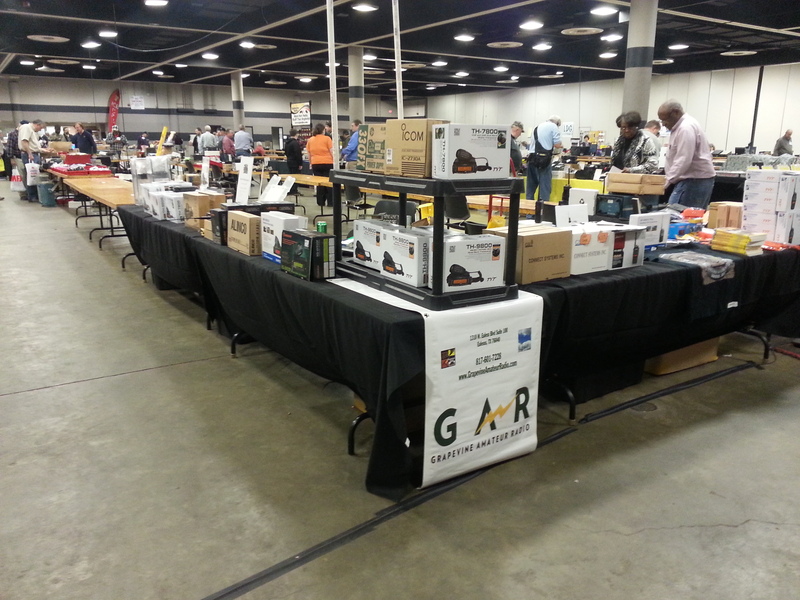 This Hamfest takes place in Jackson, MS and is very well attended. I didn’t realize how large it was, in fact. Several of the larger names were there, including Yaesu and MFJ. Jackson, MS is only about a 6-hour drive from Grapevine, TX so the distance isn’t an issue at all. This was the first time I ever drove to Mississippi, but I’ve been to Jackson in the past, always by plane. It was a good trip and we met lots of good people. Among other things, we have negotiated a deal with TN07 to begin selling their antennas on our website at Grapevine Amateur Radio. I’m very excited about this and I will be testing/reviewing some of their antennas very soon on my Video Podcast series. I also plan to use their 32′ telescoping flagpole antenna for 10-80 meters at this year’s Field Day event, and of course there will probably be a Ham Radio 2.0 episode come from that also. To sum up: I plan to attend the Capital City Hamfest again next year. As soon as they have dates and sign-up forms posted on their website, I’ll be grabbing some tables.